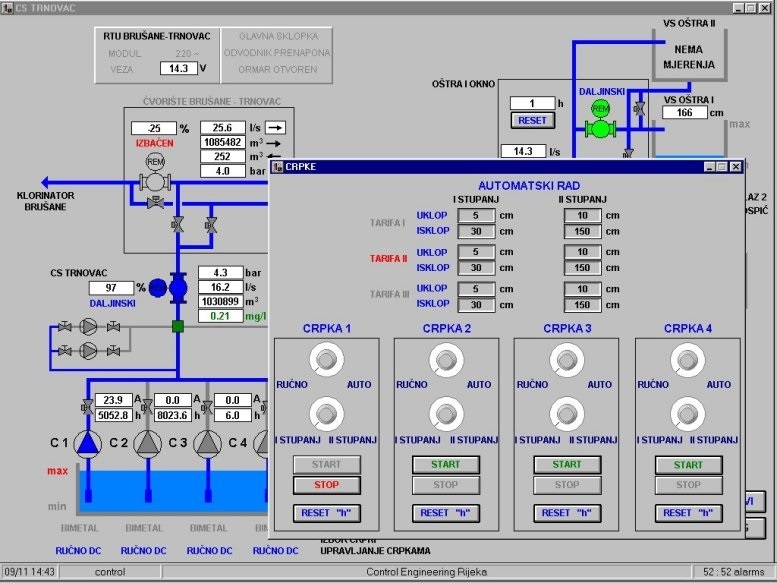 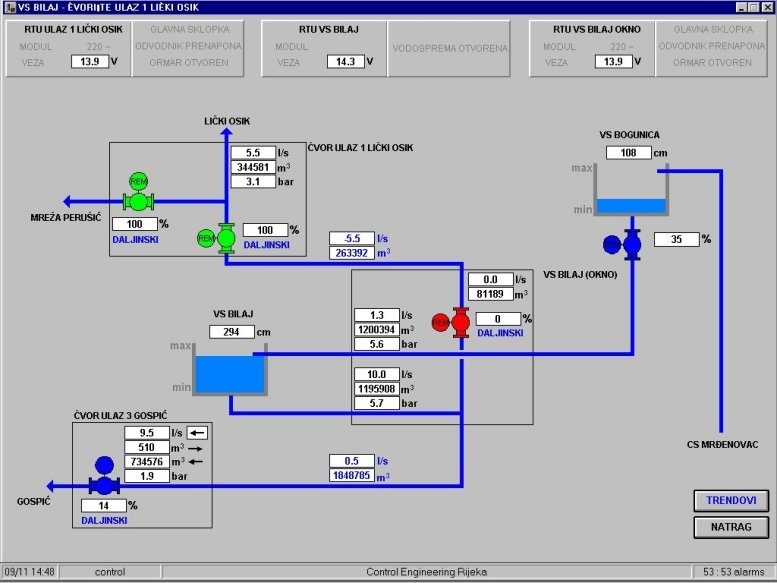 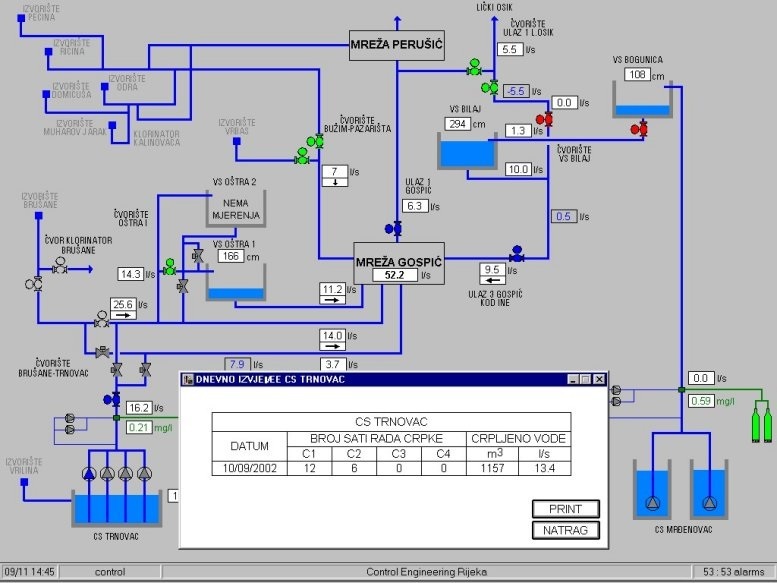 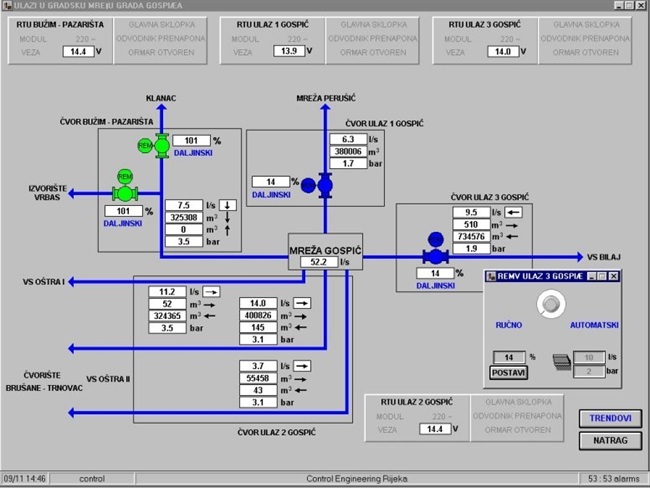 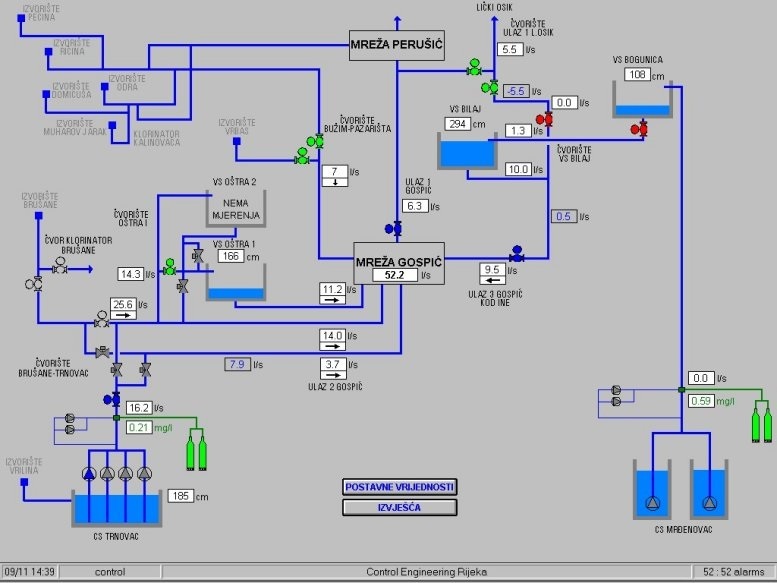 Supervisory and data acquisition systems | Control Engineering d.o.o. 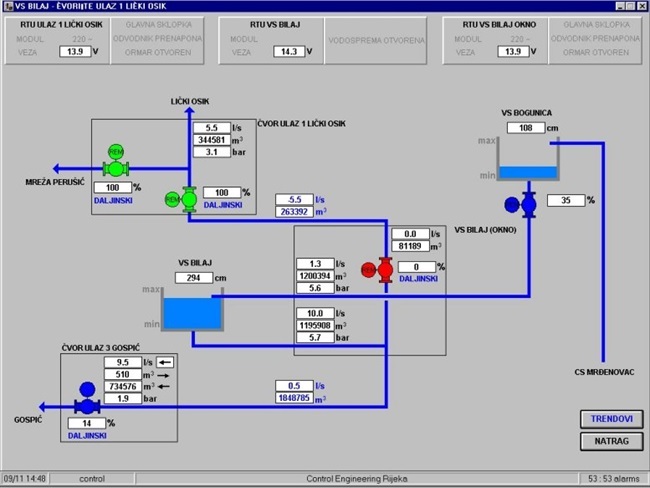 Control Engineering Company has its own solutions for design, implementation, maintenance and development of remote monitoring and management systems. 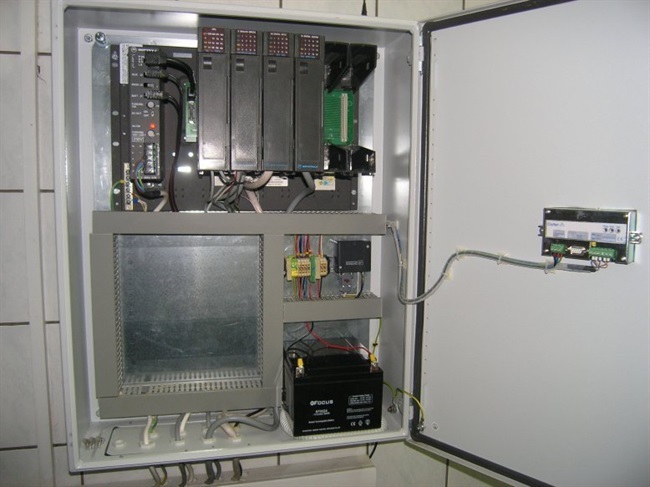 Complete solutions include projects, equipment and tools. 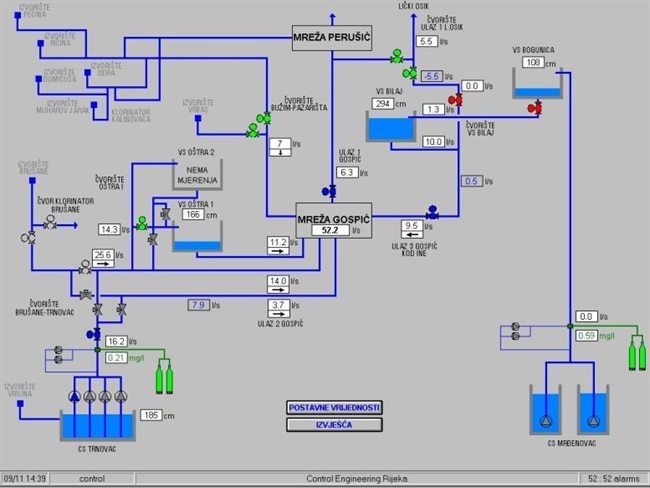 Projects are made by professional designers with years of experience and credible references. 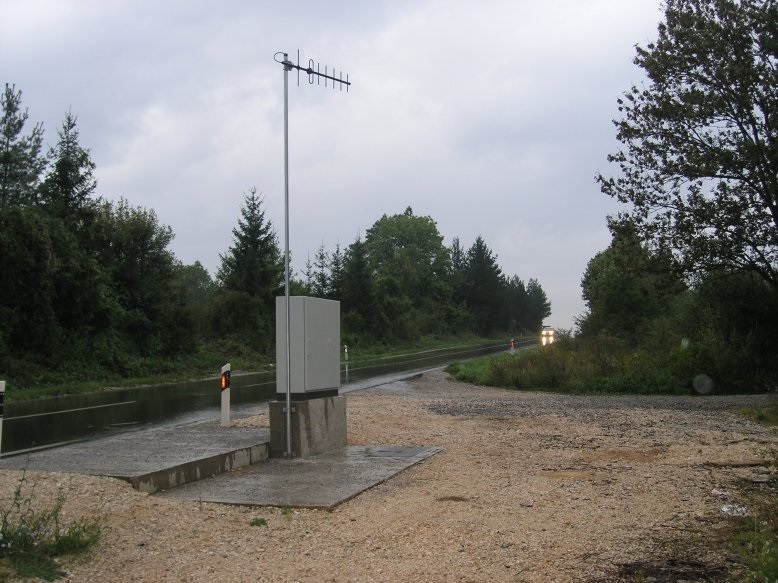 The equipment consists of central units, remote telemetry stations, radio stations and repeaters, radio modems, GSM/GPRS/3G/WiFi transmitters, data loggers, etc. 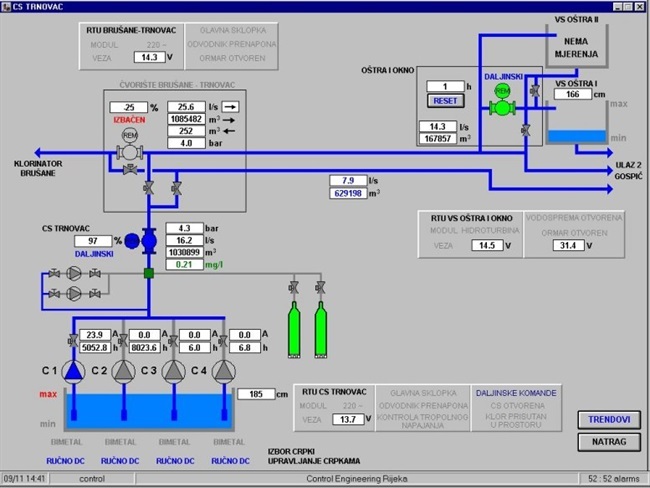 Tools are SCADA application solutions implemented at National Instruments Lookout platform which we are system integrators of, and web interface for monitoring and management of an unlimited number of measurement points. 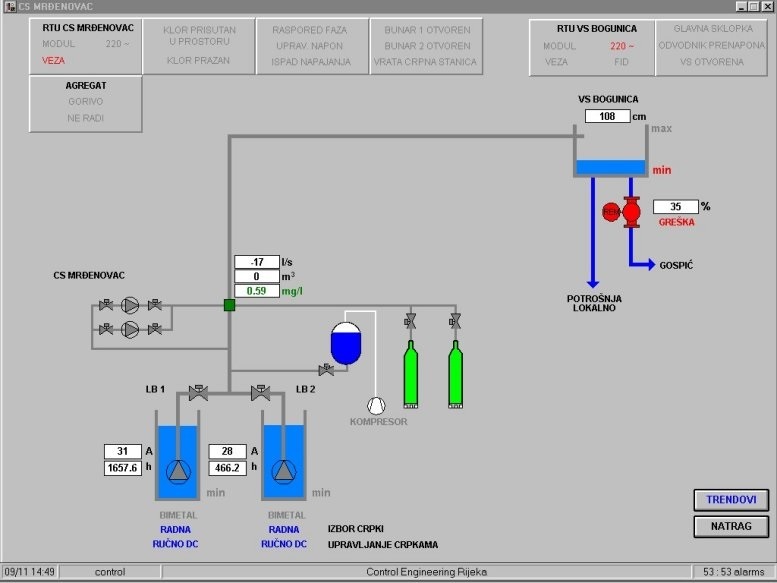 Depending on the needs for monitoring and management system, site conditions and availability of communication links, we are selecting the most appropriate and optimal solutions using classical communication links such as PSTN or optical connection, web communication utilising static IP addresses, and/or satellite network to gain reliable and real-time data tracking from all monitoring locations, enabling timely configuration and management of the systems.